Two bills recently introduced in the Hawaii legislature seek to legalise cultivation of industrial hemp and manufacturing of hemp products. There’s a lot of excitement in Hawaii after recent trials indicated that industrial hemp would do very well there. 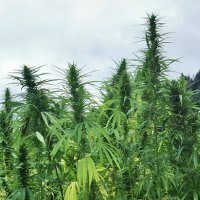 A study by University of Hawai‘i researchers indicates more than 70 tons of industrial hemp per acre could be produced annually. But the situation in Hawaii is much like that in many other U.S. states – growing and processing industrial hemp is banned under Federal law in almost all circumstances. The two new bills seek to implement laws specific to the state and in doing so, override federal prohibition. The first bill, Senate Bill 2700 (SB2700), defines industrial hemp and allows for its cultivation as an agricultural product under licensing from the department of agriculture. It also removes criminal and civil penalties. The second document is a House companion bill (HB1969). The bills rattle off just a few of the many benefits and applications for the crop; such as fibre, phytoremediation (removing toxins from the soil) and bio-diesel. If the bills become law, industrial hemp that has no more than 0.3% tetrahydrocannabinol (THC) will be considered an agricultural crop in the state. “Upon meeting the licensing requirements as set forth by the department of agriculture an individual in this state may plant, grow, harvest, possess, process, sell, or buy industrial hemp if the industrial hemp does not contain more than 0.3% tetrahydrocannabinol,” the bill states. According to Tenth Amendment Center, both bills will now have to pass through committee processes before being presented to the full House and Senate for a vote. On a related note, it seems the state’s first medical marijuana dispensary system is creating a lot of interest in real estate in Hawaii. The situation will place even more pressure on what is the lowest industrial space vacancy rate market in the U.S. (around 2 percent). Unlike industrial hemp, medical grade cannabis is usually grown indoors – it requires a lot of space along with a huge amount of electricity and other inputs. Some medicinal compounds can also be extracted from industrial hemp; including cannabidiol.